We use a variety of dedicated servers. Recently we have some from online.net. Simple and easy to setup using their online admin features. Keeping your web site update to simply and effectively is the major aim of our eazy-site web portal. Adding and amending stories is done simply and effectively. We have tried to keep the system simple so that updates can be done quickly. 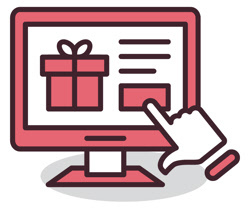 Simple online payments can be integrated into your website without the need for a full or complete shopping cart. Managing databases was done traditionally on a computer in an Office or at Home. This was often inaccessible to others. Nowadays having a secure online database accessible by multiple administrators and users is much more effective. With this comes the added level of security need to ensure hackers do not break in. We are looking for new opportunities so please give us a call if you have some PC based database that you want to move forward and access it online. We are very happy to discuss and review options. Our experience with developing online databases with Dunfermline Athletic Football Club, the Royal Caledonian Curling Club and the Scottish Federation of Meat Traders Asociation have allowed us to build up experience to produce such databases. 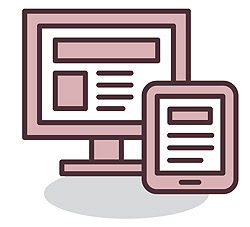 Web sites often require interactive forms to capture information from people viewing your web site. 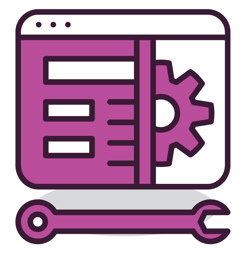 We have a variety of tools and scripts to easily allow information to be captured and stored into a secure database. The information gathered can be used for a wide variety of purposes, capturing and storing the information securely is our prime objective. 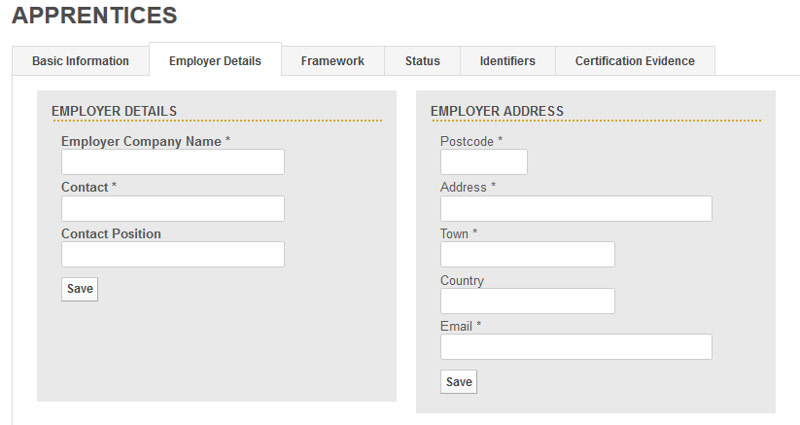 The sample forms below give an idea of how custoemrs view and input data. Why not ask for a quote for your website. Dynamic web sites are where information is produced within the context of the user. As a user selects an option on the web site the current page will be generated and updated there and then. For example you can select an option from a menu and a further choice will be shown immediately (without reloading the complete page). This is eveyr useful when selecting options that could have different outputs. This compares against Static pages which remain the same each time the page is loaded. 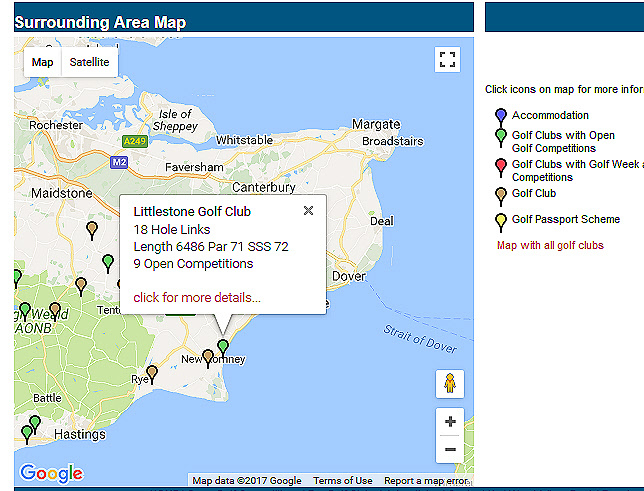 A prime example is the Search facility on happygolf.co.uk (click). We also have a simple example of data selection providing an insight how the system will operate: Online Data Collection (click). If you require a web site or email then you need to register a domain name. Your domain name then has to be kept for you on a yearly basis. The domain name is your link to a website. There are numerous domain types such as .co.uk, .com, .biz, or .net and choosing which one depends on the need for your website. Please discuss with us your requirments as there i snow many options. Once you setup a basic website you can then create more complex systems to suit your business needs. Websites we have registered and setup CraftButchers.co.uk DAFC.co.uk DAFC.net youngpars.co.uk ParsTV.co.uk RCCCmember.sorg happygolf.co.uk DAHT.org.uk DADSC.fife.net DASC.fife.net aarpee.com SoftAuctions.uk easydb.uk circleofcomfort.org.uk myclubmembers.net and hosting 100 further domains.